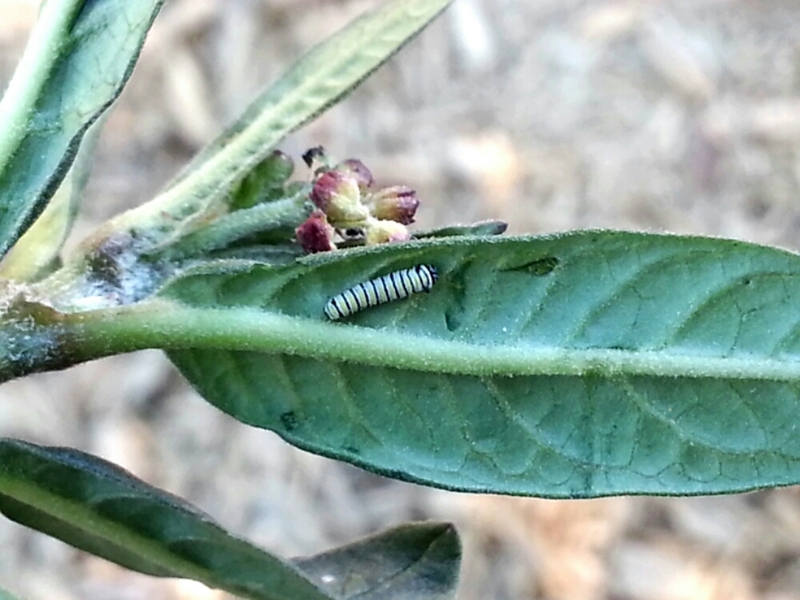 This entry was posted in Recent Posts and tagged Audrey Dawn, Caterpillar, Classroom Discovery, Life, Living Again, Love, Milkweed, Nature, Oldest Daughter & Redheaded Sister, Photography, Poetry, Spring. Bookmark the permalink. Loving your attention to details…soon he might have wings. Thank you, Duketh. He has wings now. He emerged last week and flew on his way. The children were in awe. Too cute to watch. I also became quite smitten with the entire process. His chrysalis is gorgeous. The color green fantasy are made from and he spins a golden seal about 3/4 up that proves there is a higher power working. Amazing!! I should have you catch one and watch him work. You’d love it. Wow…that sounds awesome and cool, I must admit. God is amazing. It is cool! Very! God is amazing, my dear. I love this. I love caterpillars. I wonder what it is like to be a creepy crawly caterpillar and then one day you can just soar. How cool would that be!!!! I have begun wondering myself, actually!! Such a gorgeous life they lead. I love teaching this particular life cycle. Hi, and thanks for stopping in!! I missed you, so I came to find you (little did I know you had almost floated away). *nods* You’re usually quite lengthy with your comments. I must have said something to offend. I am a simple lady, this I know to be truer than true. *blush* Not necessary, Poet. I can busy myself. Enjoy your evening…. I’m sorry I have… take me with you, please. I’m reserving my “Awww” until I hear whether this little guy is a friend or foe! Everybody needs to eat, but if he’s destroying good plants, well, he’s not worth my approbation! He’s a friend!! He turns into a beautiful Monarch butterfly, and did in my classroom this year. He produced many a smile, Debbie. You would have loved to see the stages emerging…so lovely. Then to be reborn as a butterfly. Yes, they both made it successfully, John. We released them just shortly before school let out. It was so fun to watch. Monarch butterflies are my favorite. These little creatures make the most beautiful chrysalis I’ve ever seen. Now what is that? I like to look at things as long as they don’t jump on me. I saw the ones the Kindergarten had. And the flying comes after. I love it when teachers have critters in the classroom. My fourth grade teacher had a small zoo in our classroom. There was a turtle on her desk, guppies in an aquarium in the back of the classroom and an aquarium (dry) with several grass snakes. It served me well when I got older and taught 4th grade. When the boys would hand me snakes and such I picked it up and admired it and then told them to return them into the wild. I did have some hermit crabs, but if I had known then what I know now I would not choose that particular creature. Mourning cloak? For most of us life is innately grasped and only a small part do we control.